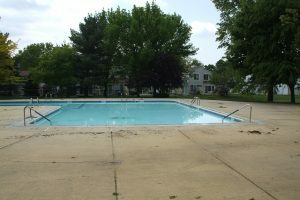 Looking for other condos in Freehold Township? 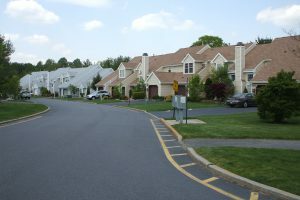 Raintree is a condo community located off of Route 537, west of Route 9. The community has two entrances/exits, and in fact, it is one of the few condo communities in Monmouth County that is gated. The main entrance is guarded 24 hours 7 days per week, however you will need a remote to enter the second gate. In Raintree, all homes are within walking distance to a shopping center. The shopping center has a supermarket, drug stores, dry cleaners, restaurants, banks etc. In addition, Freehold Raceway Mall. a major shopping mall is nearby. Public transportation is close, as is Great Adventure Amusement Park. Between 1982 and 1996, 994 condo / townhouse units were built in Raintree. There are also 217 single family homes, which makes for a total of 1211 homes. Indeed, Raintree is the largest condo / townhouse complex in Freehold Township. The condo / townhouses have either 1 or 2 bedrooms. Some of the condos / townhouses have a garage, yet others have a fireplace. As to the single family homes, they have 2 bedrooms. Some units have garages, and some also have a fireplace. Raintree Freehold has 9 different village. In fact, your pets are welcome in Raintree. However, there are restrictions. The homes in the villages of Heather Ridge I, II & III are single family detached homes. You may have two pets if you live in these villages, either cats or dogs. The other villages are a combination of condos and townhouses. In villages, Olde Oaks II, Briar Glen I & II, Willow Bend and Arbors, you are allowed 1 pet. And Olde Oaks I allows 2 pets. Raintree provides a clubhouse, and in the clubhouse is a small gym. In addition, Raintree provides an outdoor pool, tennis courts, basketball courts and a 9 hole golf course. 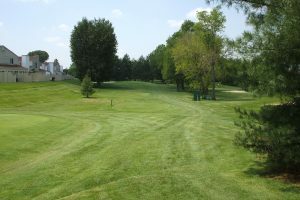 In Freehold Township there is an extensive public park system. Also you’ll find restaurants, shopping and entertainment. are nearby, and it’s about 30 minutes to the Jersey Shore. Children from Raintree Freehold will go to West Freehold School, Clifton Barkalow School and the Freehold Regional High School District. SAT scores at the six high schools in the district consistently exceed state and national averages. And 87% of students continue on to higher education.